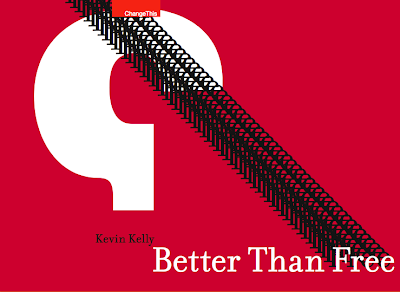 The internet is a copy machine, Kevin Kelly tells us, in his most recent manifesto. But what qualities cannot be copied? Trust is one. Kevin expands on this and seven others that are better than free. Download in pdf from here. It is just 11 pages long and is very good.